Emily was living a normal happy life, she had everything she wanted, except true love. But that changes when she meets Jake Stone. What's so special about him, you may ask? This story contains some mature chapters, read at your own risk and do not copy. NEWS AND SUGGESTION FOR YOU!! CH 46 WOULD YOU TURN?? CH 48 HOW'S IT LIKETO BE A VAMPIRE? 15+ age due to blood. Young, and unique. Rose, is her name. She is the most loving person anyone can meet. There are those who're jealous, and those who adore her for it. But who knew she would be the one to be a part of the prophecy to release the beast and bring out the man? He was the one they feared, the one they cowered from. He is ruthless, arrogant, cocky yet handsome. The girls want him, the boys envy him. He don't care. Slaughtering them all like a raging wolf on a killing spree. On a fateful night, the hunt is on, but what if he catches something more than he ever believed, the one thing to make him change from a beast to a man.....his heart. He is dark and mysterious but there is something about him I can't, explain. It feels almost as if were connected, we are  destined to be together. He is dangerous but I can't help but want to get close to him. I ran away as fast as I could but he was to fast. I could feel his hot breath on my neck. "look at me" he spoke. Vador became The dark lord due to an event that took place in the past. Ava was saved by the The lord when a dark witch killed her family and tried to kill her too,do you think it was just an incident or she'll help him get over his darkness! Meanwhile the dark witches aren't backing out of the fight,they want the power to rule and control. They want The dark lord's position. Annalise Sky, a 16yr old girl with long, red hair is sent to Dracula's castle for a whole year. Having won a contest, Annalise is thrilled about meeting the world-renowned, Dracula, that inspired the books by Bram Stoker. She's taken aback when he takes a liking to her. Her sister told her to never fall in love with a bloodsucker (quote from the book), but Annalise doesn't listen. Plz give this book a chance! It's slow in the beginning, but really pans out in the later chapters. When Kayla is taken to a house of four siblings, two boys and two girls. She discovers that she is now a slave and a blood bag for these creatures. Derek has claimed her and uses her, he orders her around drinks her blood. While staying their, she then is taken to an auction house where she meets a totally different vampire, he is Seductive, rough, and loves to tease her. When kidnapped again, Derek nor Aamon will be able to save her.....or will they? Will Kayla escape, or will she be stuck with one of these boys forever? "There are going to be some ground rules" Xavier said looking bored. "You are going to call me master at all times and you will do as I say. If you cross any lines or disrespect me, you will be punished." "And I do not go easy on punishments. And in that moment  I realised that this will be a lot worse than I anticipated. Everyone in the past kept saying that the world is changing. But I'm pretty sure that no human would have visioned such a drastic Change. It is the year 2057 and the world is taken over by bloodthirsty vampires. Humans are kept in shops like toys and are bought by vampire masters. Humans are now slaves to creatures of the night. Who am I you may ask. I am Riley and I am enslaved by the vampire prince himself. When I thought all hope was lost for the human civilisation, I found out that the vicious vampire prince can also love. 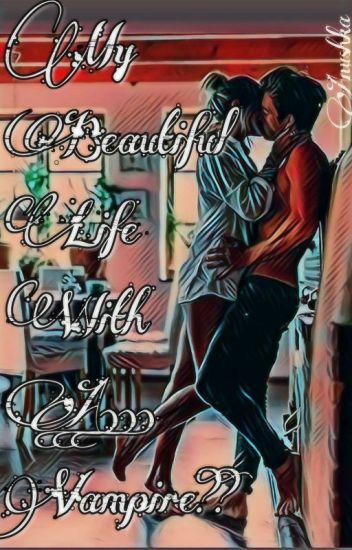 Hey guys this is my first book so please do give it a try.